For many members of the population, June is LGBT Pride Month, and is celebrated to honor the anniversary of the Stonewall Riots. A series of spontaneous riots broke out in Manhattan, New York in response to a police raid on the Stonewall Inn on June 28th 1969. One local business is celebrating in their own way by making a special LGBT Sandwich available for this weekend only. The Greenwich Village store has been modifying their regular #20 BLT sandwich for the last 6 years by adding guacamole and renaming it the LGBT to show their Pride during the month of June. They originally tried using food coloring to dye the bread to look like a rainbow, but it just made it soggy, so you get the standard choice of white, wheat or rye, presented in a rainbow colored paper bag. The Original Sandwich Shoppe is just a 5 minute walk from the Stonewall Inn in Manhattan where the LGBT movement achieved some serious momentum thanks to the events of 1969. It's surprising that the hub of LGBT activity was based in Manhattan and not another New York district like Queens. 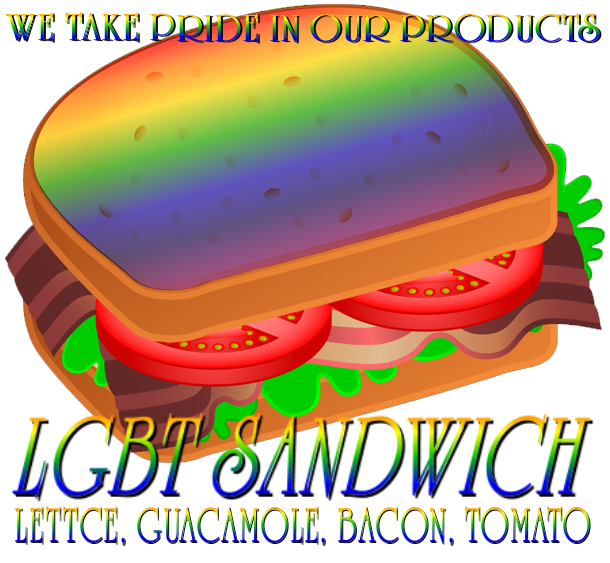 As with all of their sandwiches you can still modify your LGBT to suit your tastes. If you want more meat in your mouth then just ask, or if you prefer to munch on lettuce then you can request extra veg. Either way the Original Sandwich Shoppe can deliver a tasty mouthful for your oral satisfaction. Have you ever partaken in an LGBT sandwich? 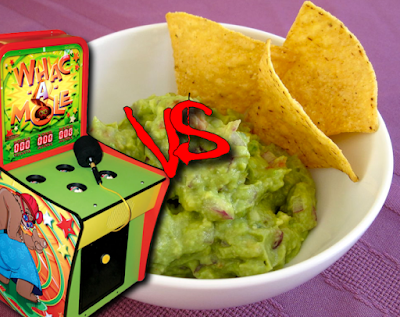 Have you ever been confused between whac-a-mole and guacamole? Share your thoughts and opinions below. Oprah to feature on redesigned $10 bill?